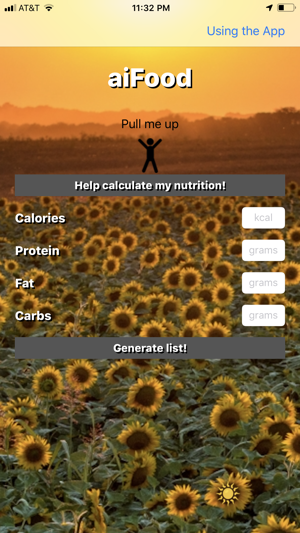 From a current Stanford undergrad and fitness enthusiast, aiFood was created to eliminate the pain of thinking how and what to eat. 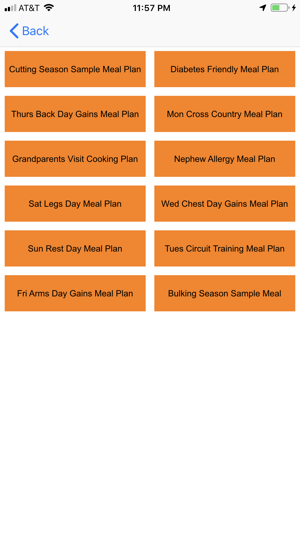 Get the app to have meal plans generated for you that simultaneously satisfy all caloric/macro needs. 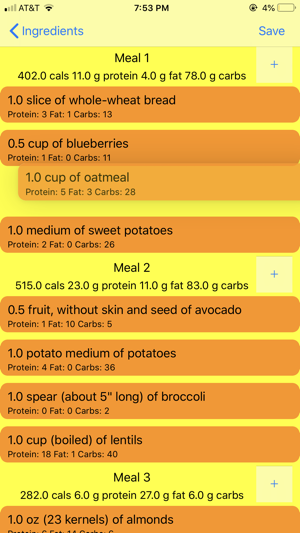 Customizing and saving the list is painless, and all interactions with the list are logged so artificial intelligence can improve and make more personalized the list-generation and meal-planning algorithms. 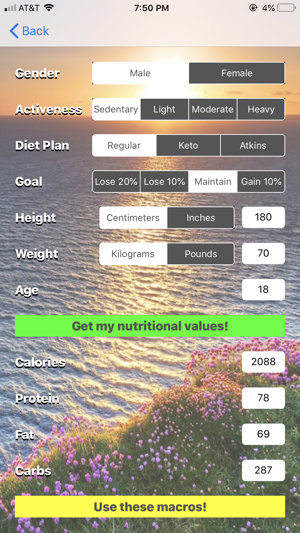 Minor changes on the interface, edited "Using the App" page, and configured some pop-ups. 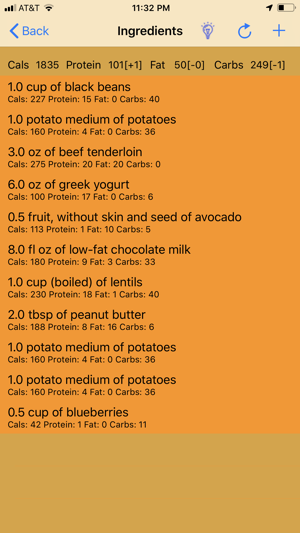 Jokes aside, this can actually help your daily meal planning a lot, esp if you’re not the type that likes to bother thinking what to eat. 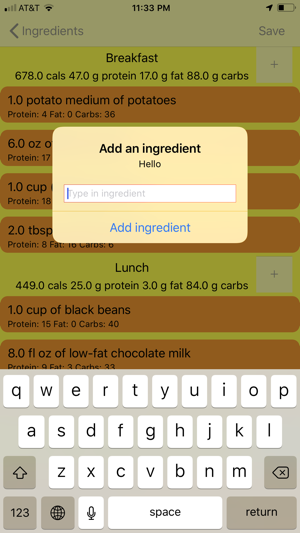 It’s also a lot of fun just interacting with the app and see what shows up as ingredients. Definitely recommend download!